That was just the SEMIFINALS?! I can't imagine how the players feel because I am exhausted from watching this weekend's Fed Cup World Group semifinals, not to mention all the other Fed Cup matches I watched. There were many exciting moments. Some, I'm sure, occurred during the Australia vs. Belarus tie, but because of the time difference, I wasn't able to watch any of that. However, the France-Romania tie had enough drama to wear me out. Today reminded me, once again, of why I love Fed Cup. Fed Cup is filled with drama, almost every moment. Players we don't get to see much on the tour suddenly become their nation's most valued players. Major champions are upset by players ranked far below them. The crowds go wild. What's not to love? Romania has seemed poised to reach the Fed Cup final for a while. With Simona Halep as the leader and the stunningly inventive Monica Niculescu around as the creative force, just add a touch of Begu and a visit from Dr. Buz, and the potential is high. 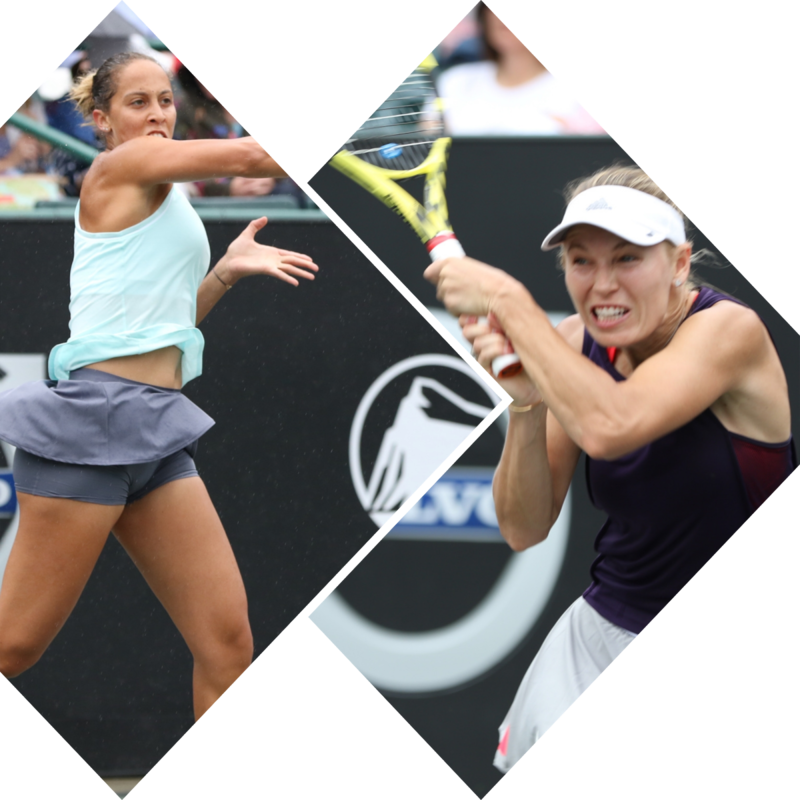 Earlier this year, Romania and defending champion Czech Republic went to a fifth rubber, and Romania's task was to take out the world number 1 doubles team, Barbora Krejcikova and Katerina Siniakova. Irina-Camelia Begu and Monica Niculescu did just that, in three tough sets. This weekend, Halep defeated both (together again!) Kiki Mladenovic and Caroline Garcia. I sometimes think that the word "epic" is overused in describing tennis matches, but if anyone wants to call the Garcia-Halep match epic, I'm all in. It was three hours of of absolutely grueling clay court tennis, featuring the highest quality imaginable from both players. We'll still be talking about it at the end of the season. The match had some unusual features. Both players won an amazing number of points off of their second serves. Neither did well at the net. It was a baseline slug-out that featured repeated gasp-worthy shots. It was an event. But, sadly, someone had to lose, and it was Garcia who blinked when she double-faulted twice at 4-all in the third. Halep's defeat of Garcia put the teams at 2-1, but then Pauline Parmentier was put in to play Begu in the fourth rubber, and she evened the score at 2-all. It took a doubles rubber to determine who would reach the Fed Cup final. And it was only fitting that that rubber went three sets. Former French Open champions Garcia and Mladenovic, who had a falling out and haven't played together in a long time, were supposed to have faced off against Begu and Niculescu. However, Begu injured her ankle in the third rubber, so Halep was sent in as her replacement. And, while Niculescu was clearly the star (as she in any doubles match she plays), Halep was pretty impressive on the doubles court. Garcia and Mladenovic were rusty, and it didn't take much for the Romanians to get an edge over them and take the first set. In fact, Romania looked rather good in the second set, too, and then--suddenly--some switch was pulled on the French side. The symbiotic muscle memory returned, and the French team started to look like themselves again. They won that set, and they won the third set, whose turning point occurred toward the end when an obviously fatigued Halep double-faulted. France was in the Fed Cup final in 2016, under the able and creative leadership of Captain Amelie Mauresmo, but they lost to the Czech Republic in another five-rubber event. Now they're back in the final, this time under the leadership of Julien Benneteau, who appears to have that Mauresmo spirit. Their opponent will be team Australia, who will host the event. Looking ahead to the final--and assuming that no one important is sick or injured (and no one insults anyone), I can't help but imagine yet another fifth rubber, in which the current Australian Open champions play the former French Open champions. A match featuring Ash Barty and Sam Stosur opposing Garcia and Mladenovic sounds pretty exciting. 🇦🇺 AUSTRALIA HAVE DONE IT! Barty, of course, has come into her own, and is one of the most exciting players on the tour. In Australia's tie against Belarus, Barty defeated both Vika Azarenka and Aryna Sabalenka. Both members of team Belarus defeated Stosur, so tie also went to a deciding fifth rubber, which Barty and Stosur won. There were a lot of other things going on. Katie Boulter was a stand-out this weekend as she played two great rubbers against team Kazakhstan. She lost the first one--a three-set thriller--to Yulia Putintseva, then she defeated Zarina Diyas to take Great Britain over the line, after her teammate, Johanna Konta, defeated Putintseva. Great Britain is now into World Group II for the first time. Not surprisingly, the Czech Republic won its World Group Play-Offs tie against Canada, and Lucie Safarova, playing in her final Fed Cup event, was given a worthy send-off. 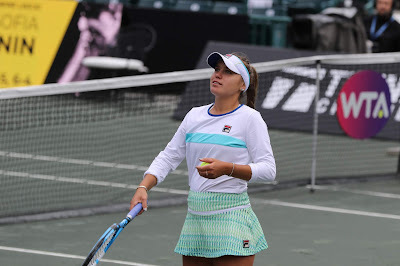 Also in the World Group Play-Offs, Alona Ostapenko lost both of her singles rubbers (to Julia Goerges and Mona Barthel). Anastasija Sevastova wasn't there to assist, and Germany defeated Latvia. Sevastova wasn't the only top player missing this weekend. Angie Kerber, Belinda Bencic, Petra Kvitova, Karolina Pliskova, Elise Mertens, Dasha Kasatkina and Fed Cup Beast Kiki Bertens were all absent. Garbine Muguruza was there, but that didn't help Spain in its tie against Belgium. The former French Open and Wimbledon champion lost both of her singles rubbers, to Kirsten Flipkens and Ysaline Bonaventure. Spain won, anyway, with the help of Carla Suarez Navarro (and Muguruza, in the doubles rubber). Finally, also in the World Group Play-Offs, the USA played Switzerland. Viktorija Golubic, known for her Fed Cup antics, took out a listless Madison Keys in straight sets. The mercurial Sloane Stephens won both of her singles rubbers, beating both Golubic and Timea Bacsinszky, and Sonya Kenin, substituting for Keys, defeated Bacsinszky, thereby taking the USA over the line. Anna-Lena Groenefeld and Alicja Rosolska, seeded fourth at the Volvo Car Open, won the doubles title today when they defeated the unseeded team of Irina Khromacheva and Veronika Kudermatova 7-6, 6-2 in a match that had to be postponed because of rain. Groenefeld and Rosolska, tour veterans, were playing together for the first time, and they did not drop a set throughout the tournament. Though this is obviously their first title together (and what a way to start a partnership! ), they now have a combined total of 30 titles--21 for Groenefeld and 9 for Rosolska. Khromacheva and Kudermatova were also playing together for the first time, and--in the course of the tournament--they took out both the 2nd and 3rd seeds. 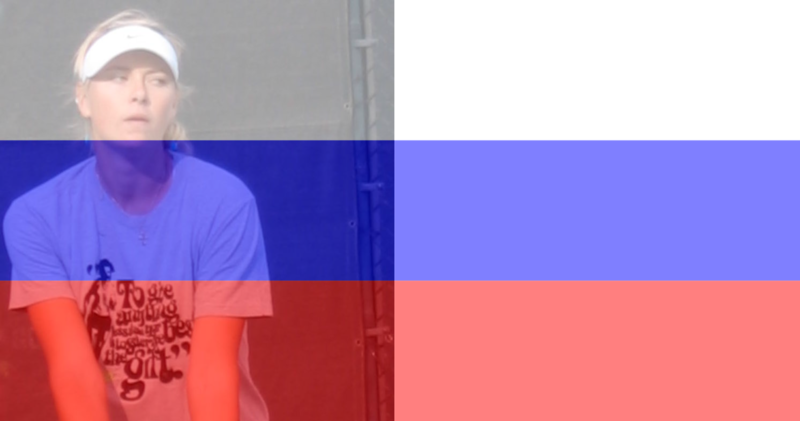 The Russian team held a set point in their first set against Groenefeld and Rosolska. Madison Keys--your new Charleston champion! 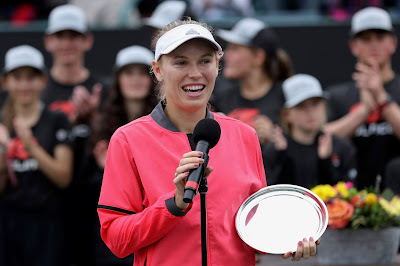 It was a chilly, rainy morning, and the doubles final had to be postponed, but singles play began as scheduled on Volvo Car Stadium, as 2011 champion and 3rd seed Caroline Wozniacki faced off against 8th seed Madison Keys for the 2019 Volvo Car Open singles title. There was little to separate the two of them in the first set, though it should be noted that Keys had a 74% first serve win stat in that set--a statistic that would get even better in the second set. Keys won that set in a tiebreak (7-5) and never looked back. In the next set, her first serve win percentage increased to 80, and she put continuous pressure on Wozniacki, whose own serve has been excellent during this tournament. Keys began dominating the longer rallies, while Wozniacki looked more defensive than she had in the opening set. Keys won the match 7-6, 6-3, and in doing so, she not only won the Volvo Car Open, she defeated the second major champion (the other was Sloane Stephens, in the quarterfinals) whom she had never before beaten. It was also Keys' first clay title, and next week, her ranking will climb to number 14 in the world. Keys picked up a trophy, a key to the city of Charleston and a new Volvo, which she will get to design herself. Wozniacki, who won the title in 2011 (and was the runner-up in 2009, also) mentioned in her speech that she had never won a car at a tournament, and asked if she could perhaps borrow Keys' new Volvo. The champion replied that she would be happy to share her new ride with Caroline. The Volvo Car Open (formerly the Family Circle Cup) has been in Charleston since 2001. During that period, only two players--Serena Williams and Justine Henin--have repeated championship runs. Williams win the event in 2008, 2012 and 2013. 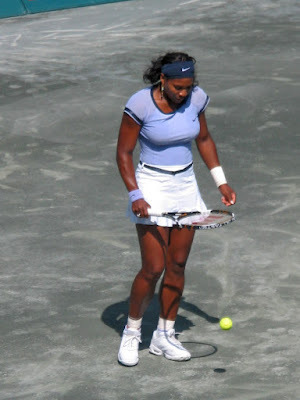 In those finals, she defeated Vera Zvonareva, Lucie Safarova and Jelena Jankovic, respectively. Williams was also a runner-up in 2003, when she lost to Justine Henin, who also won the event in 2005. Both Jankovic and Caroline Wozniacki have held both runner-up and champion status. Jankovic won the tournament in 2007. Wozniacki was the runner-up in 2009 (lost to Sabine Lisicki in the final), and was the champion in 2011. In a category of her own is Martina Hingis, who was twice a runner-up in Charleston. However, Hingis won the event in 1999, when it was held at Hilton Head, South Carolina. 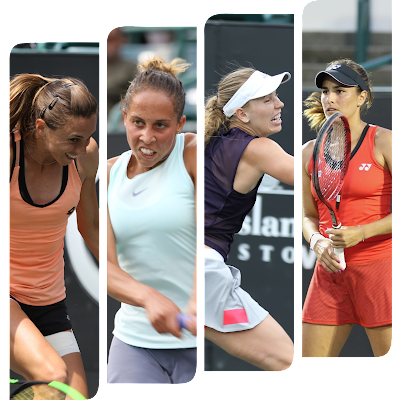 Three players have reached the finals twice but have not won the title in Charleston: Patty Schnyder was a finalist in 2002 and 2006, and lost the final to Iva Majoli and Nadia Petrova, respectively. Vera Zvonareva lost the final to Serena Williams in 2008, and to Sam Stosur in 2010. Elena Vesnina lost the final to Wozniacki in 2011, and to Sloane Stephens in 2016. Of special interest was Schnyder's 2002 run. 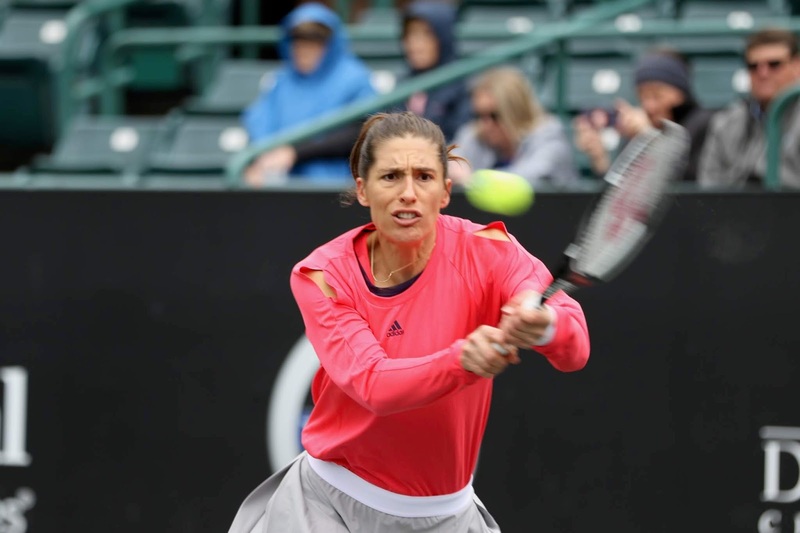 Unseeded, the Swiss player--a rock star in Charleston--blazed through the tournament, using her considerable bag of tricks to take out the likes of 6th seed Amelie Mauresmo, 3rd seed Serena Williams, wild card Mary Pierce, and top seed and defending champion Jennifer Capriati. It was an amazing run, but the Swiss player was defeated 6-4, 7-5 in the final by the also-unseeded Iva Majoli. In 2005, Schndyer, seeded 3rd, lost in the final, but in order to get there, she again took out the defending champion and top seed, Justine Henin, in the semifinals. On a damp, sometimes rainy, sometimes chilly, day on Daniel Island, Caroline Wozniacki and Madison Keys advanced to the final of the Volvo Car Open. The two finalists are seeded 5 and 8 respectively, and they have both reached the final of the event in the past. Wozniacki was the runner-up in 2009, and the champion in 2011. Keys was the runner-up in 2015. In the day's first semifinal, a sometimes physically-challenged Petra Martic faced a very in-form Wozniacki. And while the scoreline of that match was 6-3, 6-4--straight sets--the quality of play from both women was very high. There was some creative shot-making, which made for a crowd-pleasing match. The second match was interrupted by rain in the middle of the first set, which was quite competitive. 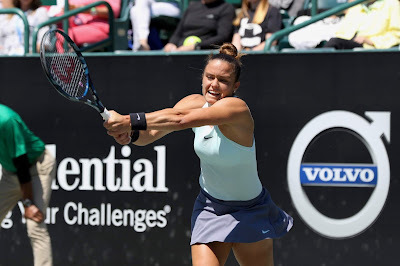 After the rain delay, however, it was all about Madison Keys, as her opponent, Monica Puig, struggled to find the level of play that had gotten her to the semifinals. Also, in the second set, Keys revved up her own level of play. Keys hit nine aces, and had first and second serve win percentages of 76 and 58. She defeated Puig 6-4, 6-0. Wozniacki and Keys have never before faced each other on a clay court. They have, in fact, played each other only twice, both times on hard courts (and not since 2017), and Wozniacki won both of those matches in straight sets. Only one quarterfinal match went to three sets in today's Volvo Car Open, but each match was interesting in its own way. In today's first match, a very steady and in-form Petra Martic upset 9th seed Belinda Bencic. Martic, the tournament's 16th seed, defeated Bencic 6-3, 6-4. Martic posted first and second serve win percentages of 68 and 74, respectively, and she wasn't broken throughout the match. The second match featured 5th seed Caroline Wozniacki and 15th seed Maria Sakkari. 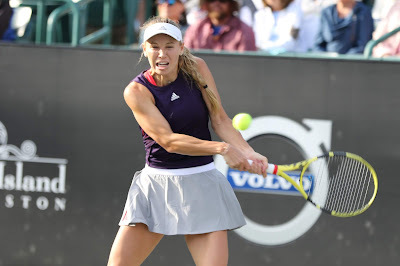 Wozniacki defeated Sakkari 6-2, 6-2. The Dane won in Charleston in 2011. 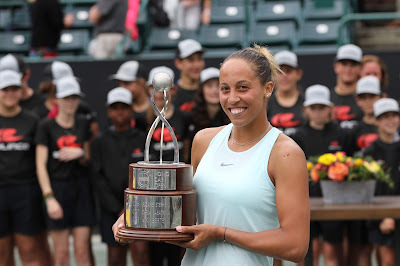 Should she win this year, she would break Martina Navratilova's record of having the longest time span (seven years) between Charleston title wins. 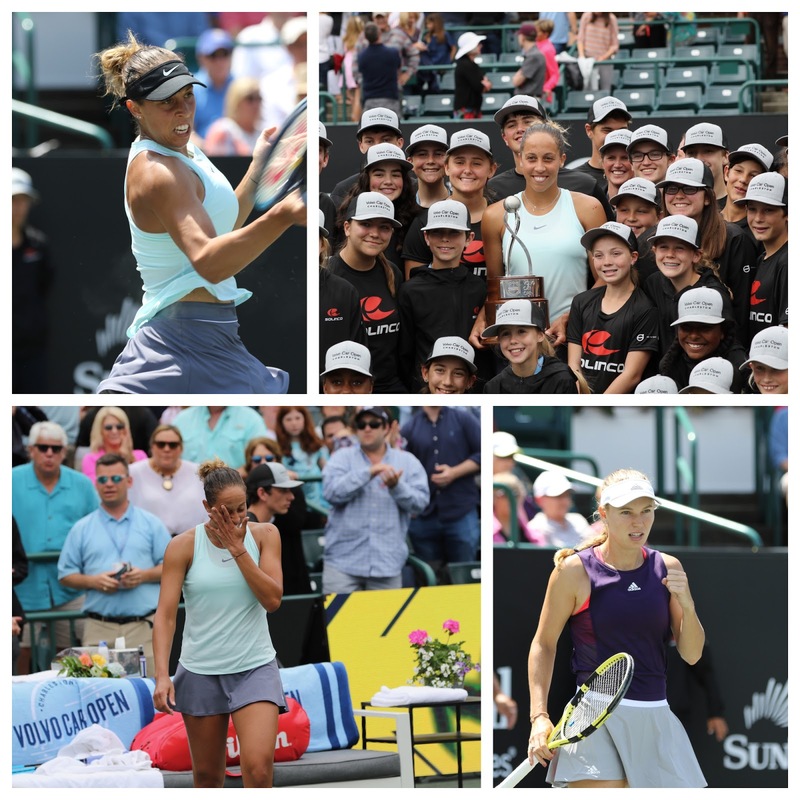 The third match was a much-anticipated contest between 8th seed (and 2015 runner-up) Madison Keys and the tournament's top seed, Sloane Stephens, who was also the 2016 champion. They had played each other three times before, and Stephens had won all of those matches. Today's first set featured constantly shifting momentum, right through the tiebreak, which was ultimately won by Keys, 8-6. Keys went on to win the match, 7-6, 4-6, 6-2. Monica Puig and Danielle Collins contested the night match, and--for the first time since she came to Charleston--Collins lost her edge. Puig brought her impressive backhand and some very steady nerves, and dominated Collins from start to finish, defeating her 6-3, 6-2. In tomorrow's semifinals, Puig will play Keys, and Martic will play Wozniacki. 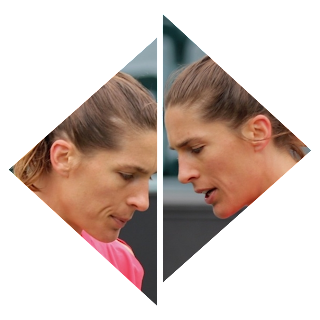 Puig and Keys have played each four times; each woman has won two matches. They have played twice on clay, and have split those wins, also. Martic and Wozniacki have played each other five times, and Wozniacki has won all five matches. They have never played each other on clay. So far this season, there have been fourteen tournaments and fourteen different champions. The title winners in both Charleston and Monterrey will guarantee that the tour will have sixteen different champions. In today's doubles quarterfinals, the unseeded team of Irina Khromacheva and Veronika Kudermetova defeated 3rd seeds Raquel Atawo and Katarina Srebotnik 1-6, 6-3, 10-5. Also, 2nd seeds Lucie Hradecka and Andreja Klepac defeated wild cards Chloe Beck and Emma Navarro 6-3, 6-2. One of the things that has stood out for me this week at the Volvo Car Open is the way several players have addressed their losses and analyzed their difficult times on the tour. What I heard from them amounted to quite a bit of self-examination and insight. The most prominent example would be Alona Ostapenko, who talked with us about how things have changed for her since she won the French Open in 2017. 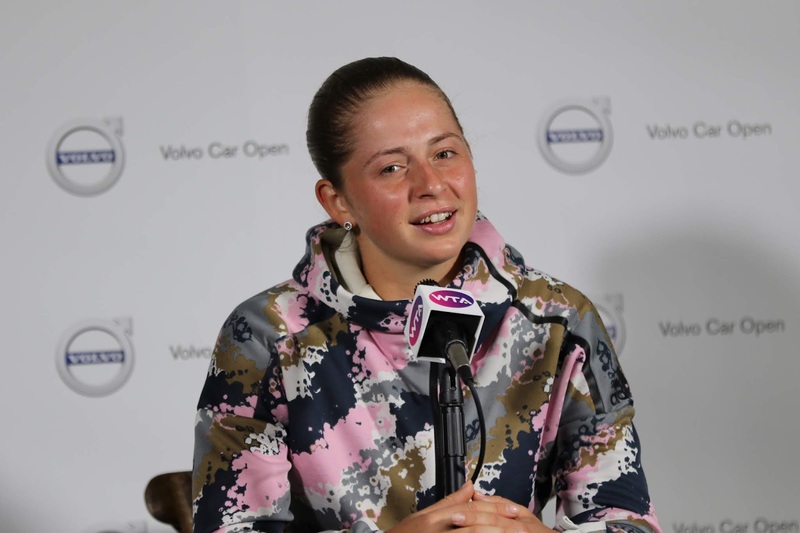 (Ostapenko has also had to deal with injury since that victory. "I think the most important is to be just fearless like I was there," she said. "I was just not trying to miss the ball and I was just going for it. And I didn't think too much, because after everything changed so much, and I'm thinking much more like during the points. Also I'm trying to get rid of it and just try to be fearless and play again the way I played there." On the subject of finding her fearlessness again, she continued: "Actually, I have realized that it's like once you don't have, like not don't have it anymore, but once you start to think too much, it's very hard to get rid of it, and it's hard to get that feeling, like fearless feeling again, because I'm in a different position right now, like ranking-wise and also a Grand Slam champion. And, yeah, like people, as I said, expect more from me. But I think now I deal with this pressure already enough, so now it's much better than it was." Ostapenko also said that she realizes that she doesn't have to rush the points--that when a rally goes on for a while, she is likely to win it. Monica Puig, whose career has been oddly flat since she won an Olympic gold medal in 2016, also addressed the idea of redeeming fearlessness, and she said that Ostapenko's words resonated with her. "So sometimes, you know, when you have those weeks like I did at Rio, and all of a sudden you're a Grand Slam champion or Olympic gol medalist and all eyes are on you all of a sudden, and you expect so much more from yourself and you don't tolerate yourself losing in the first round of a tournament or you expect yourself to get to the quarterfinals or better every single week, there's that added pressure and you're just kind of like, when it's not there, you're discouraged, you get disappointed. And then losses and confidence issues. to be in you. You just have to find the courage to bring it out time and time again." Puig said that she has had to change from being a results-oriented person to a process-oriented person, something which obviously goes against her nature. Why did you want this one more than other ones? "Because I'm tired of f___ing losing!...You gotta figure it out somewhere, and it kind of like eventually gets going, but you have to, like, make it happen for yourself. Like I have to show energy and fight and try to like turn it around for myself." "I actually worked with her for like, two years, and it's really helped me a lot, because two or three years ago I was like really deep, like really crazy. Like if you look back, like, try to find some matches--ITF tournaments--you'll see the big difference. Right now I am still crazy. I still get pissed like really easily, but it's better. Still need to improve." If we listen--really listen--to these athletes, we can pick up some tips for our own lives. Tennis, after all, is about winning, losing, setting goals, staying in the present, and challenging our assumptions about ourselves. Sounds like life to me. Four of the eight quarterfinalists at this year's Volvo Car Open are players from the USA, and--making the equation even more unusual--all four of them are in the same half of the draw. Top seed and 2016 champion Sloane Stephens, Madison Keys, Monica Puig, and Danielle Collins are all in the top half of the draw. Puig is the only unseeded player left in the draw. Stephens and Keys have played each other three times (once on clay, at the French Open), and Stephens has won all three matches in straight sets. 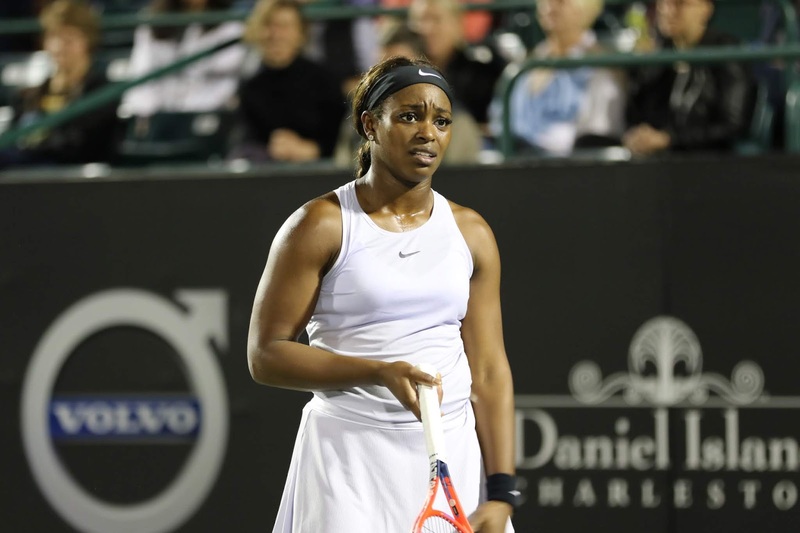 Both players have excelled in Charleston: Stephens was the 2016 champion, and Keys was the runner-up in 2015. Puig and Collins have played each other twice, both times on hard courts, and are tied 1-1. Puig reached the quarterfinals by upsetting 3rd seed Aryna Sabalenka in the third round. Bencic and Martic have never played each other. Bencic's best showing at the Volvo Car Open occurred in 2014 (the tournament was the Family Circle Cup at that time), when she reached the semifinals. Wozniacki and Sakkari have played each other only once, on a hard court in Wuhan, and Sakkari won that match. Wozniacki, the Charleston champion in 2011, was also the runner-up in 2009. 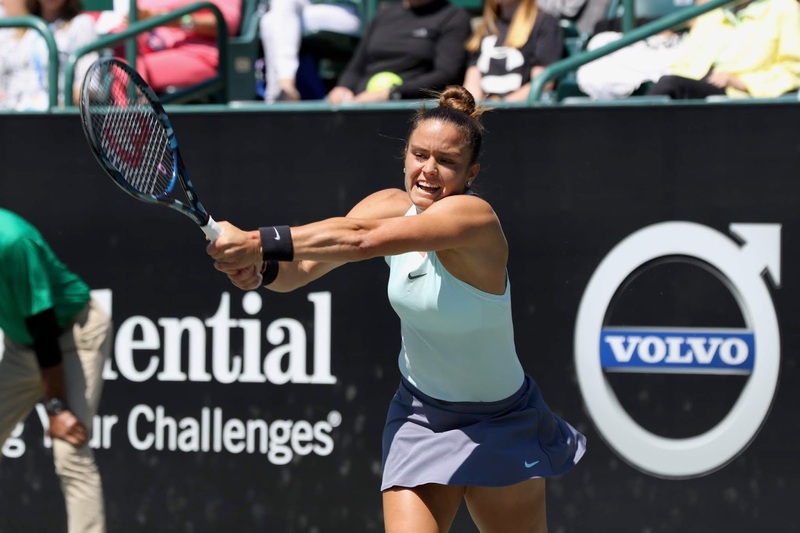 2nd seed and defending champion Kiki Bertens was eliminated from the Volvo Car Open draw today by Maria Sakkari, who defeated Bertens 7-6, 6-3 in a match that lasted almost two hours and which featured an especially exciting first set tiebreak. Bertens went up 5-1 in that tiebreak, only to have Sakkari win three straight points, then eventually bring the score even. Both players had set points, but 8-all proved to be the breaking point for the Greek player, who escaped from the tiebreak with a 10-8 score. Sakkari, seeded 15th, has a similar game style to Bertens, and their shots and strategies often mirrored each other's. Bertens was able to save only one break point, however. Later, at her press conference, she said that she hadn't felt any pressure about being the defending champion; rather, " it didn't feel like that it was the pressure, more it was like my level was not really there. I'm still a little bit searching for my level, I think, this year." 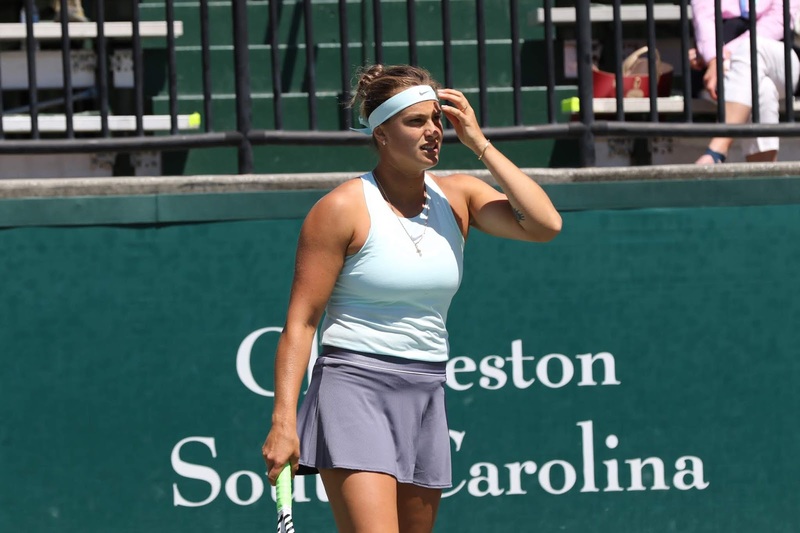 Aryna Sabalenka, the 3rd seed, fell to Monica Puig, the 2016 Olympic gold medal winner whose career has been strangely quiet since her out-of-nowhere victory in Rio. So remarkable was her 2016 win, in fact, that Puig was named Best Female Athlete of Rio 2016 by the Association of National Olympic Committees Awards. 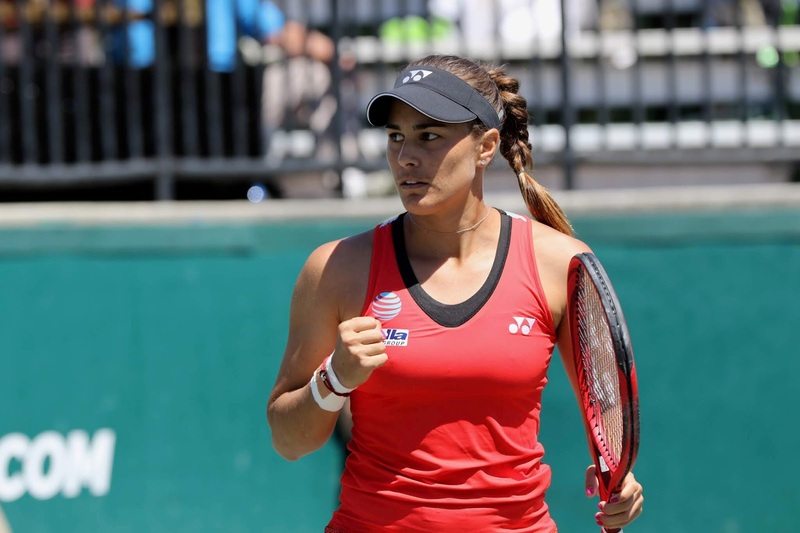 When she talked with the press, the Puerto Rican player said that she has always been results-oriented and that she is learning to be more process-oriented, and to have patience and allow her progress to unfold. Puig will next face 11th seed Danielle Collins, who put on something of a hitting clinic in her third round match against Kaia Kanepi. Especially impressive was the first set tiebreak, in which Collins performed what I've been calling Kvitova Theatre, hitting laser-like shots onto the lines and into the farthest corners of the court. 5th seed and 2011 champion Caroline Wozniacki was taken to three sets by Mihaela Buzarnescu, but the Dane prevailed. 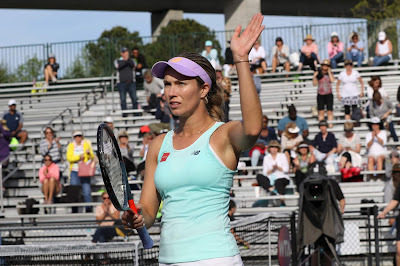 9th seed Belinda Bencic defeated Taylor Townsend, and 16th seed Petra Martic defeated Jessica Pegula. In the final match of the day session, 8th seed Madison Keys defeated 10th seed (and 2017 finalist) Alona Ostapenko in straight sets. 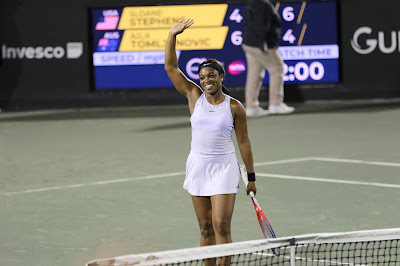 And in the night match, top seed Sloane Stephens defeated Ajla Tomljanovic 4-6, 6-4, 6-4. In doubles, the top seeds, Nicole Melichar and Kveta Peschke, were upset by Anna-Lena Friedsam and Sara Sorribes Tormo in the quarterfinals. It was a day of upsets, as four seeded players went out in the second round of the Volvo Car Open. 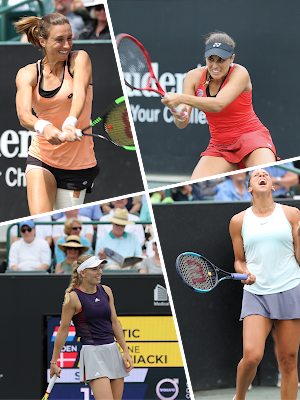 The day began with the 6-4, 6-2 upset of 4th seed Anastasija Sevastova by Jessica Pegula, and shortly thereafter, 7th seed and 2018 finalist Julia Goerges lost to Taylor Townsend. Goerges didn't really seem "present," and made a number of uncharacteristic errors; also, her usually feared serve wasn't working for her. Kaia Kanepi, who has made a career out of giant-killing, took out 6th seed Elise Mertens with the attention-getting scoreline of 0-6, 6-0, 7-5. And Monica Puig defeated 13th seed Sonya Kenin in straight sets. 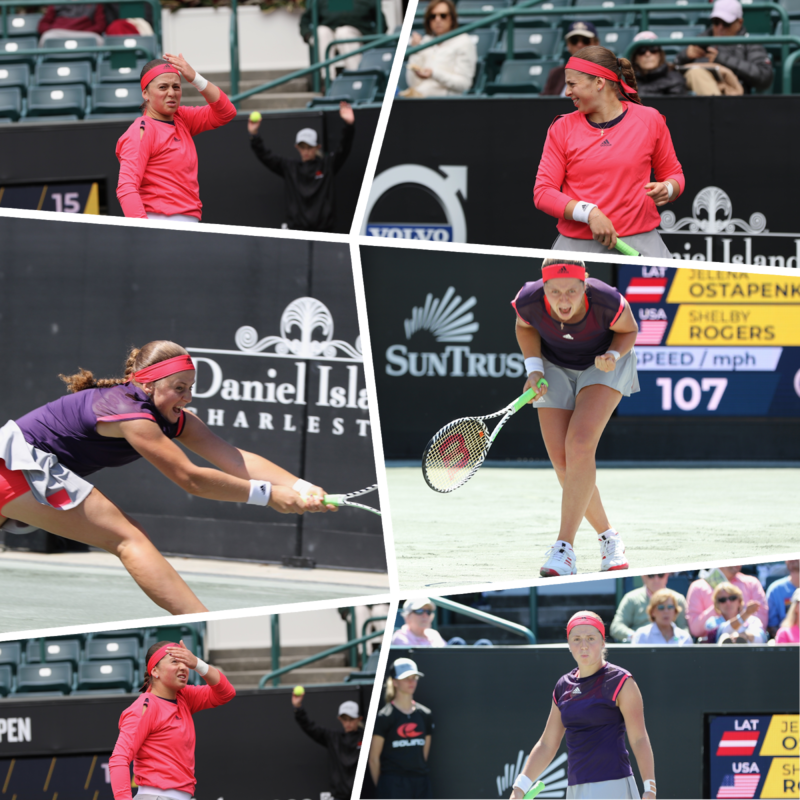 2017 finalist Alona Ostapenko, down 1-5 in the third set against Shelby Rogers, looked as though she would surely be the next seed (10) to fall, but the mercurial Latvian staged a jaw-dropping comeback, winning five straight games and forcing the set to a tiebreak. 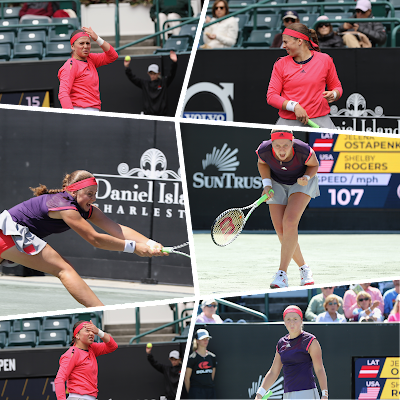 The tiebreak was close, but toward the end, Ostapenko gathered her champion's mindset and defeated hometown favorite Rogers 4-6, 6-3, 7-6 (4). 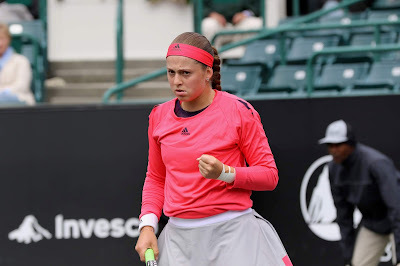 "You really have to fight for every ball," Ostapenko said after the match, "and that's what I did today." 3rd seed Aryna Sabalenka had to go three sets to beat Kateryna Kozlova; however, 5th seed (and 2011 champion) Caroline Wozniacki prevailed over the tricky Laura Siegemund 6-2, 6-2, in some cases, "pulling a Siegemund" (there were a lot of drop shots). Ajla Tomljanovic, Danielle Collins, Belinda Bencic, Petra Martic, Mihaela Buzarnescu, and Maria Sakkari all won their matches. Sakkari defeated 2014 champion Andrea Petkovic. And in the last singles match of the day, Madison Keys defeated Tatjana Maria. Two players, 2016 champion Sloane Stephens and defending champion Kiki Bertens, won their second round matches yesterday. Aryna Sabalenka, Anastasja Sevastova, 2015 finalist Madison Keys, 2011 champion Caroline Wozniacki, Elise Mertens, 2018 finalist Julia Goerges, Belinda Bencic, and 2017 finalist Alona Ostapenko are all playing today at the Volvo Car Open. 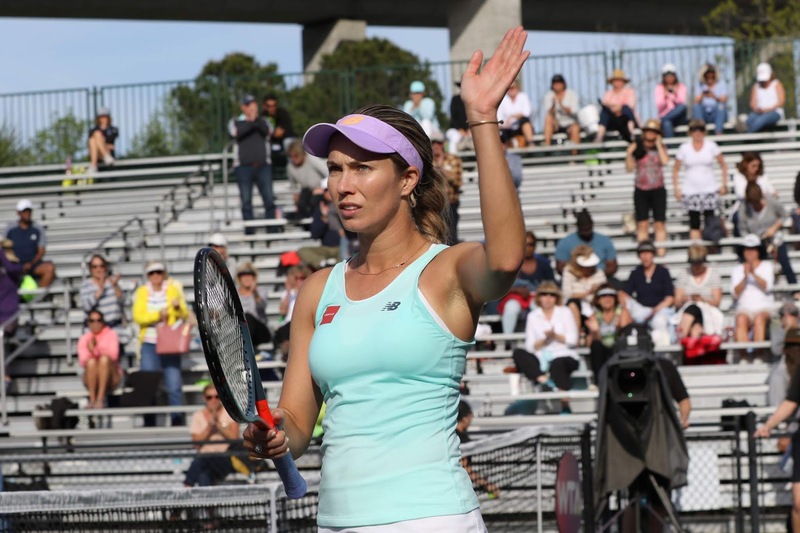 In addition, Sonya Kenin, Danielle Collins and Shelby Rogers will be among the U.S. players taking to the green clay courts. Of special interest (at least, to me) is the match-up featuring 5th seed Wozniacki and Laura Siegemund. Last night, Siegemund, in good form and up to her old tricks, defeated wild card Emma Navarro, who handled her WTA debut with skill and poise. Siegemund is a clay court player's clay court player, and has a drop shot that can slay. It will be fun to watch her take her game to the relentless and speedy Dane. They have played each other only once--this year, in Auckland. Wozniacki won that hard court match in straight sets. Another match of interest will be played by 2014 champion Andrea Petkovic and Maria Sakkari. This will be their first time to compete against one another. Finally, Tatjana Maria will take on 8th seed Madison Keys, so a big contrast in styles will be on display. The weather in Charleston has improved tremendously. The sun is shining, and it's currently a pleasant 60 degrees on Daniel Island. Professor Petkovic is back in Charleston, and we're the better for it. "I think I've achieved so many things, if I was to retire today, I would be happy. I still want to achieve much more, but I would be satisfied. Not happy, but I would be satisfied, and I think I could look back at a good career." "And now I think tennis is more of a tool for me to evolve as a human and as a personality, because there are still so many things where I'm so stubborn and just sometimes think I'm smarter than everybody else just because I read two books in my life, you know. And those are the things that I tryto change, and tennis is a tool for me to achieve that, where I have to listen to others and I have to sort of be open-minded and just evolve every day." "So that's what I like about tennis, and when you do the right things, also you get a reward. Maybe not right away, but it pays off at one point, and I've been through so many ups and downs in my career that I know that, and so now tennis is sort of a tool for me to just evolve my personality and work on these things that are still my weaknesses somehow."